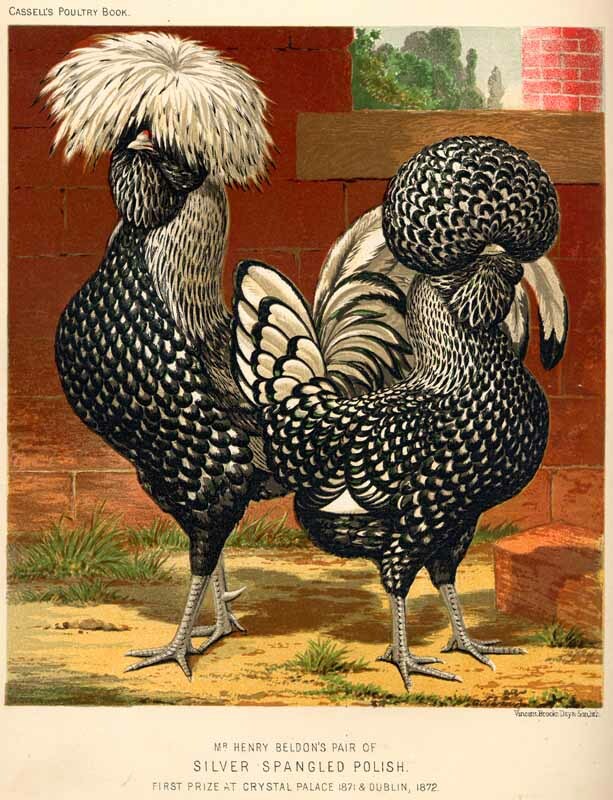 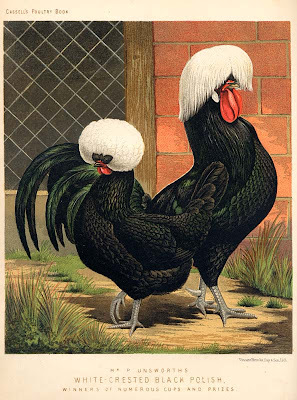 Searching the net, found some really nice illustrations of roosters and chickens. 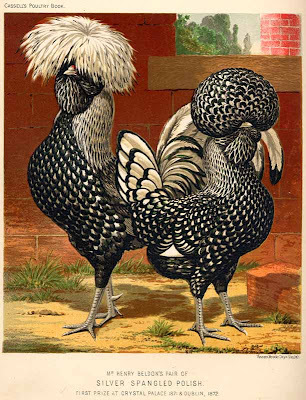 This images were originally chromolithograph plates made for 'The Illustrated Book of Poultry, with Practical Schedules for Judging, Constructed from Actual Analysis of the Best Modern Decisions' by Lewis Wright, first published 1880 are online at Ecole Nationale Vétérinaire de Lyon .It's interesting, cause here in PR the rooster is a very important animal figure, from the traditional cockfights to the many phrases that the fighting rooster took part of. In the following illustrations the animals are a bit more exaggerated as you can see.